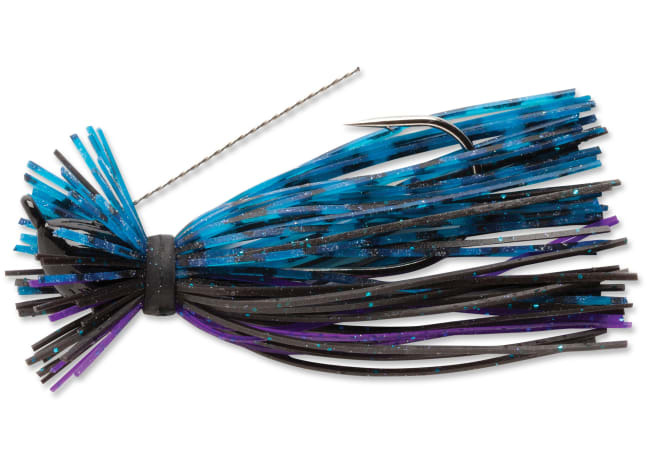 The Terminator Finesse Jig is a perfect snack for any bass lurking below. Thriving in clear water, the balanced head design and silicone skirt makes for an inticing fall that even finicky fish can't resist. The stainless steel cable affirms that your presentation stays in the strike zone, while you'll stick fish every time with the super-sticky medium wire VMC hook. Available in colors for every fishing presentation.